Why the Supreme Court should never have taken the affirmative action case Fisher v. Texas. Why the Supreme Court should stay out of affirmative action. Photograph by Mark Wilson/Getty Images. The national conversation about affirmative action resembles a couple’s therapy session in a dysfunctional marriage: full of posturing, obfuscation, misdirection, outright lies—everything except an honest discussion of the relevant conflict. This is due in no small part to the blundering of the Supreme Court, which, like an incompetent therapist, has encouraged anger and distrust while making it harder to confront the root causes of disagreement. Last week the justices announced that they will, for the second time in 10 years, address the constitutionality of affirmative action in higher education in the case of Fisher v. Texas. The case was brought by Abigail Fisher, a white applicant to the University of Texas who complained that black and Latino applicants received preferential treatment based on race. Sound familiar? That’s because in 2003 the Supreme Court upheld the constitutionality of an admissions policy at the University of Michigan Law School that was basically identical. And the holding in that case, Grutter v. Bollinger, was largely a rehash of the 1978 Supreme Court opinion that’s the mother of them all. All of this goes to show that affirmative action is the kind of political controversy the courts should stay out of. Even if you think affirmative action is bad policy, it’s not a new Jim Crow, as its opponents claim when they say it’s unconstitutional. Voters are perfectly capable of rejecting affirmative action through the political process, as they have in California. The Supreme Court’s affirmative action decisions have been a disaster: They haven’t made university admissions any fairer, and they’ve sown confusion, resentment, and frustration. Fisher v. Texas promises more of the same: No matter what the Court does, it can only make matters worse. The trouble started in 1978 with University of California Regents v. Bakke. In that case the justices confronted a crude racial quota system. The University of California at Davis essentially set up two admission tracks—one for minority applicants and one of whites. The court invalidated this, as a violation of the Constitution’s guarantee of equal protection under the law, because it made race the most decisive factor in admissions. Along the way, the majority of five split by four to one, which means that Justice Louis Powell’s opinion, though it spoke only for him, actually stood for the position of the court as a whole. Unfortunately, the case is now best known for Powell’s idea that “diversity”—and pretty much only diversity—could justify considering race in university admissions. Today most people understand diversity to be vaguely synonymous with racial integration, but according to Powell’s opinion in Bakke, it refers strictly to the pedagogical benefits of a racially mixed student body. Classroom discussions and extracurricular interactions will be deeper and more complex, the argument goes, when students from a variety of backgrounds bring their experiences to bear on the political and social issues of the day. The government’s interest in these pedagogical benefits is sufficiently compelling to allow for classifying students by race for the purpose of admissions. Powell’s opinion in Bakke made this relatively weak argument for affirmative action the only one universities could openly talk about. The diversity rationale kept affirmative action afloat, but it sank any chance of an honest exploration of the reasons we might need it. Before Bakke, one heard a number of reasonable alternatives: Affirmative action was a way for universities to correct the detrimental effects of pervasive discrimination. It was a way to train professionals who would be more likely to work in underserved minority communities. It allowed selective universities that often favored the mostly white children of alumni to extend their educational mission to excluded groups. After Bakke, this discussion was stifled in the very institutions we rely on to study and evaluate difficult social policy questions. 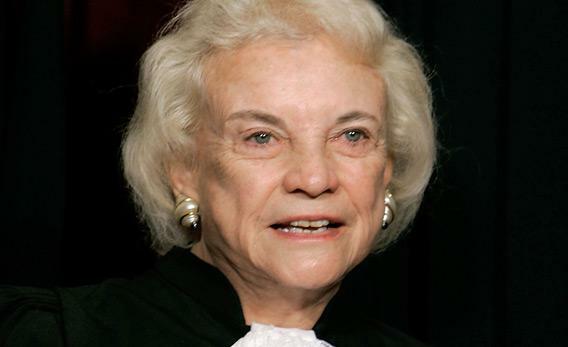 Justice Sandra Day O’Connor’s majority opinion in Grutter v. Bollinger merely compounded the problem by repeating Powell. Thanks to Bakke, the discussion of affirmative action is usually downright silly. As a law professor, for me nothing is more depressing than listening to an otherwise sensible and intelligent student insist that he can see no difference between Jim Crow segregation and an affirmative action policy (this is a the fundamental mistake underlying the Court’s affirmative action jurisprudence). Unless it’s an equally smart student’s earnest attempt to explain why, yes, there really is a distinctively African-American approach to structural engineering. We can blame the Supreme Court for these weird distortions. Now we’re told that the Court in Fisher v. Texas will settle the question once and for all. But isn’t that what the Court was supposed to have done in Bakke back in 1978, and then in Grutter less than 10 years ago? What’s far more likely is another opinion of the high court that articulates yet another obtuse legal standard, leaving more confusion and dishonesty in its wake. Justice Anthony Kennedy, the new swing vote on these questions (now that O’Connor has been replaced by Sam Alito on the right), doesn’t much like race consciousness, but he hasn’t been quite ready to say that it’s always unconstitutional. Because the conservative justices (Roberts, Thomas, and Scalia, along with Alito) need Kennedy’s vote to command a majority, the most likely outcome is another convoluted “clarification” that further limits affirmative action without invalidating it entirely. Here is where the one potentially important difference between Grutter and Fisher comes in. Unlike the University of Michigan Law School, the University of Texas had eliminated race-based affirmative action and achieved some measure of racial diversity without it, using a race neutral “10 percent plan,” in which the university accepted the top 10 percent of students from every school district in the state. But after Grutter reaffirmed the constitutionality of affirmative action, U.T started using racial preferences in addition to the 10 percent plan. The Fisher plaintiffs argue that this was an error: Because the 10 percent plan produced a diverse student body, U.T. didn’t need racial preferences too. So Justice Kennedy might now decide that race-based affirmative action is unconstitutional whenever race-neutral policies, like the 10 percent plan, alone can further diversity. But what would this mean in practice? How much diversity is enough? And which types of race-neutral plans would a university be obliged to consider before resorting to affirmative action? Admitting students at random would be a race neutral method of achieving a diverse student body—would a selective university be required to do that instead of using affirmative action? Justice Thomas came close to suggesting this in his dissent in Grutter, in which he pointed out that the state probably does not have a compelling interest in operating an elite professional school or university at all. Far from settling the issue, a ruling that tells universities they must first try race-neutral alternatives would ensure a flood of litigation for decades to come and invite federal courts to micromanage every aspect of university admissions policies. Suppose the conservatives have their way and Court does bar any consideration of race in admissions. Would this really settle the question either? Champions of class-based affirmative action like the Texas 10 percent plan. But if the end goal for such a scheme is racial diversity, isn’t it just as suspect, constitutionally speaking, as an explicitly race-conscious policy? So far no one has made this argument in court, but students from wealthier (and whiter) Texas schools districts have already started complaining that admitting the top 10 percent from every school district is unfair to graduates from more competitive locales. How long before someone expresses her discontent in the form of an equal protection lawsuit alleging racially discriminatory intent? The Supreme Court’s affirmative action cases distract attention from the real source of the underlying conflict. Admission to a selective university is one of the only reliable avenues to upward mobility in our increasingly class stratified and unforgiving society. It’s understandable that people of all races clamor for the relatively few openings left after the children of wealthy donors, influential public figures, and well-connected alumni have filled most of the entering class. Affirmative action ensures that members of historically excluded minority groups have a competitive advantage in snagging those precious remaining openings. There are sound social justice and pedagogical reasons for this policy, but it is done at the expense of the white and Asian applicants who enjoy neither wealth and influence nor affirmative action preferences. In a sense, the unremitting attacks on affirmative action reflect a misdirected rage inspired by the growing inequalities in our society, of which elite universities are a conspicuous symbol. In a sense, Abigail Fisher may have as much in common with the activists of Occupy Wall Street as with the many conservatives who champion her cause. A full and honest discussion of affirmative action would confront America’s blatantly racist past, our subtly racist present, and the threat of an increasingly class stratified future. Not exactly a pep talk. Little wonder many people hope constitutional law will step in and save us the job. But if the past is any guide, we’ll still be hurling dishes at each other when the Supreme Court is done.